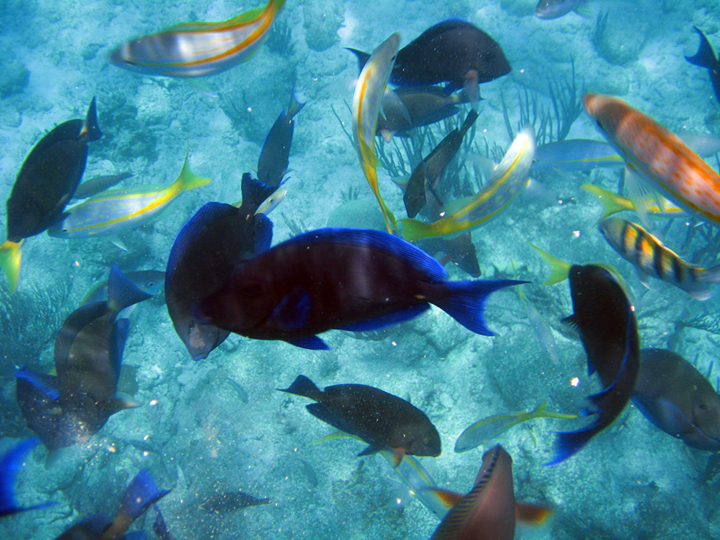 Schools of Blue Tang intermingeled with some Yellow Tails, Sargent Majors and a few parrot fish. Raw oats were scattered and they are always hungry. 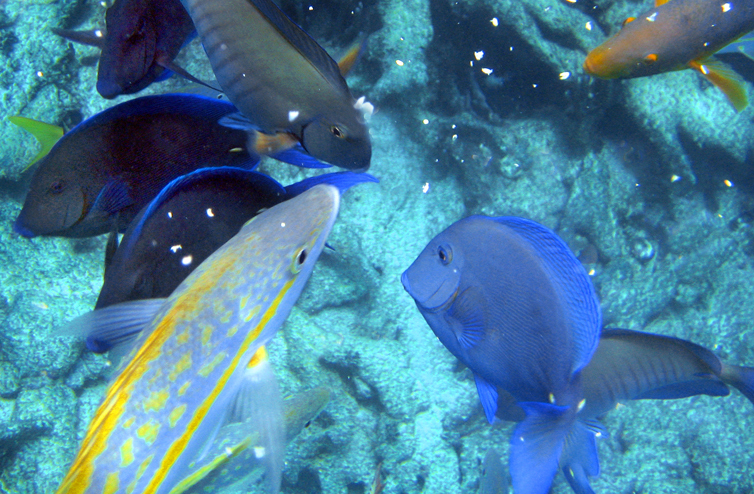 The fish on this reef are totally unafraid, you can swim with them, they will follow you hoping to be fed again. That is, until another boat pulls up and off they go towards the new arrival! .........Elenas' underwater photos. Feeding the fish: organic oats, not garbage!